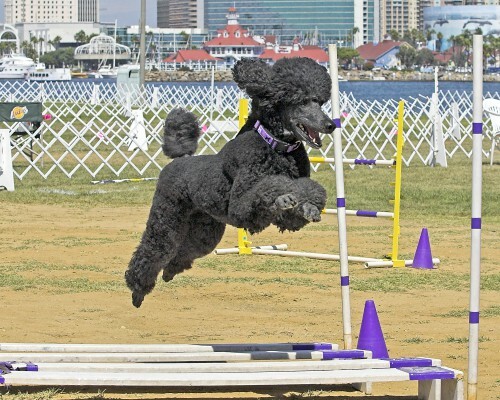 Since its inception, the PCA Foundation has funded well over $700,000 in research grants to improve the health of Poodles, including exciting studies using the latest DNA technology to identify genetic causes of disease. With the generous support of our founders and ongoing contributors, these efforts have led to advances such as DNA tests for prcd-PRA and neonatal encephalopathy, once devastating disorders in Poodles that can now be prevented. Working in partnership with the AKC Canine Health Foundation, PCAF has donated funding for many studies on canine health problems, such as epilepsy, cancer, male infertility, canine influenza and bloat/torsion. This work has led to advances such as a lab test to predict whether expensive chemotherapy will benefit a dog with lymphoma, a common blood cancer in Poodles. PCAF is currently contributing support to CHF-sponsored studies to better understand and treat hemangiosarcoma and leukemia, two cancers common in our breed, the CHF Canine Athlete Initiative and the exciting CHF Bloat Initiative, which involves researchers at multiple centers in the common goal of putting an end to the horror of bloat and torsion. 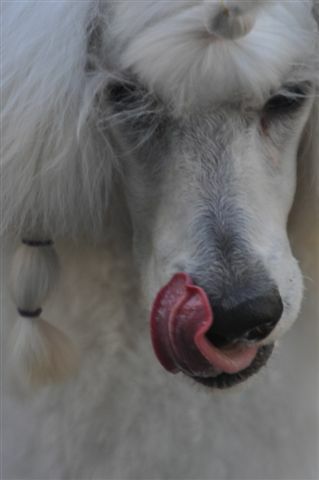 Much of the funding donated by PCAF goes directly to universities and other institutions for studies of specific Poodle health problems, including current research on sebaceous adenitis, Addison’s disease and other autoimmune disorders, Legg-Calve-Perthes disease and patellar luxation, epilepsy, chronic active hepatitis, atrial septal defect, polymicrogyria, and the eye disorders optic nerve hypoplasia, micropapillae and juvenile cataracts. At PCA’s 2013 National Specialty, to support breeders and help researchers complete their work, PCAF sponsored and distributed 400 free DNA test kits for the newly discovered mutation that causes the crippling and stunted growth of Miniature Poodle dwarfism. 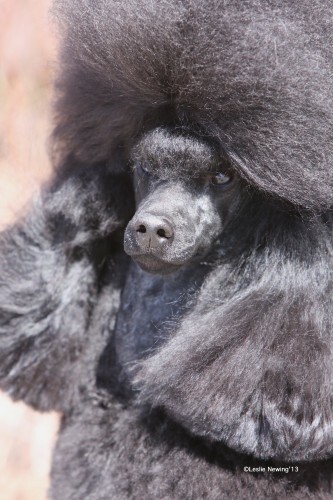 Most recently, the Foundation awarded a grant and is helping recruit participants for a new North Carolina State University study on genetics of Addison’s disease in Standard Poodles. In all this work, of course, our role as Poodle people is just as important as that of the scientists. If you have a dog that could participate in any of the studies mentioned on this site, please help us help Poodles! To move forward, research teams need samples from affected dogs and often from relatives and other unaffected dogs for genetic comparison. The identity of study participants is strictly confidential, known only to the researchers. Click the “Samples Needed” button to see studies currently needing samples. If you are a researcher with a project that needs funding, click here: Grant Application.